Boeing's 307 Stratoliner built in the late 1930s was the first commercial airliner preassurized to fly above the weather (20,000 feet). 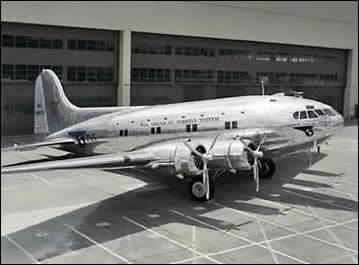 Only 10 were produced and these flew with few operators – among them Howard Hughes's Trans World Airlines. 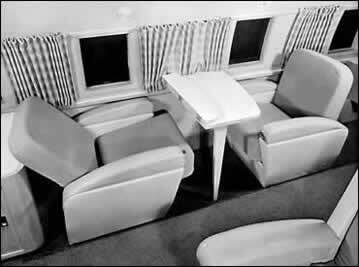 In 1948 Raymond Loewy was commissioned to convert the interior of Hughes's aircraft into an executive office. In March 1949, Hughes sold his "office on wings" to Houston oil man Glenn McCarthy. McCarthy in turn sold the Stratoliner, which he called "The Shamrock", in 1962 to Florida Jet Research in Fort Lauderdale. In 1964 Hurricane Cleo clobbered Fort Lauderdale and the Stratoliner, then called "The Flying Penthouse" sustained severe tail and landing gear damage. Fort Lauderdale realtor and pilot Kenneth W. London attempted to restore the aircraft after purchasing it in 1969. Regrettably, the aircraft was too damaged to become airworthy again, so London converted it into a motoring yacht. 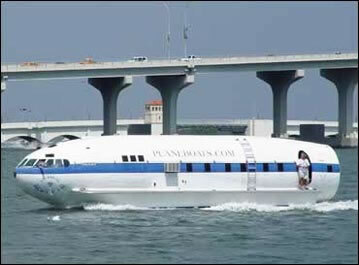 In June 1974 the completed floating aircraft, nicknamed "The Londonaire" graced the waterways of South Florida. In 1981, David Drimmer purchased 'The Londonaire" to be used as his own personal "houseboat." Jimmy Buffett featured it in his 1992 novel, "Where Is Joe Merchant?" as the "Cosmic Muffin." Bill Amantia's black Avanti appears with the Cosmic Muffin in Issue 129 of Avanti Magazine. 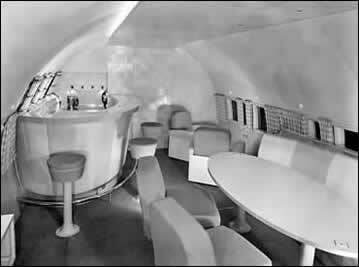 Boeing 307 Stratoliner interior lounge and bar. Boeing 307 Stratoliner interior seating.